Emory Bennett owns a lucrative dreamwalking business. 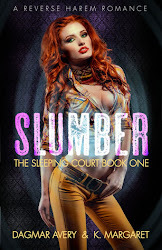 Trained in weaponry and Muay Thai, she spends her nights entering the dream realm resolving her clients’ nightmares, whatever they might be: bad guys, scary beasts, or the classic forgot-to-wear-my-pants nightmare. 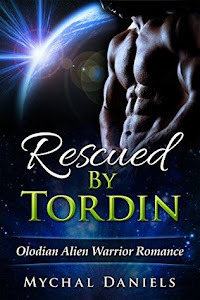 Her jobs get complicated when a gorgeous man keeps appearing requesting her help. Grayson, a fellow dreamwalker, is stuck in the dream realm while a stranger inhabits his body. He needs Emory’s assistance in the waking realm, which he can’t visit if he can’t get back into his body. Once Emory is convinced Grayson’s not a figment of her imagination, they concoct a plan to lure the body snatcher out. But as Emory begins to fall for Grayson, the line blurs between him and the stranger who inhabits his body. She must keep it together to get close enough to discover his secrets, or divide her very soul if she can’t bring the man she loves back. I became fascinated by this book when I had the chance to spotlight it during another tour. I was not disappointed in the content once I had the chance to read it!! This was an exciting journey into Emory's world where dreamwalkers exist and she is extremely skeptical of psychics..which made me laugh several times. There was a steady flow of dry humor (which I love) along with a great plot and an interesting story line. Emory was an amazing combination of heart, sarcasm, and bad-assedness with her Muay Thai!! It was very well written and kept you guessing as to who was actually what the entire time. In the end I felt sorry for our body snatcher, even though he was cast into a villainous role. It was definitely a unique and intriguing read! I can't wait for more from this author! !